Promotional offer. 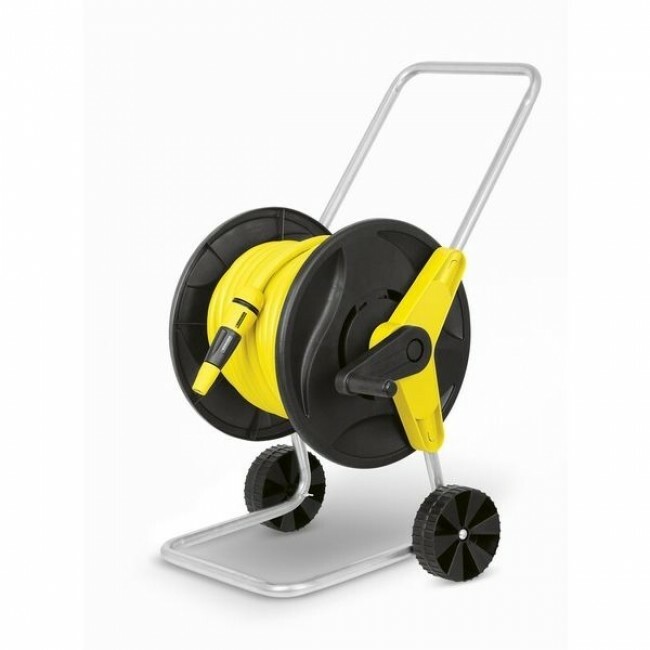 Hose trolley sets are ideal for watering medium-sized to large areas and gardens. Equipment: hose trolley for 50 m 1/2" hose, incl. 15 m 1/2" standard hose, G3/4 tap adapter, 3 x base connectors 1/2", 1 x base connector 1/2" with Aqua Stop. Convenient mobile use, large wheels for high stability. Everything you need for the perfect garden. Modern, compact hose trolleys allow quick and easy hose winding. Kärcher hose trolleys are compatible with all available click systems.